Upon seeing this, my reaction was one I can guarantee many if not most of our readers would share. Namely, I wonder if the state was billed for limestone blocks rather than a facade backed by bricks? We all know the answer, of course. Corners were almost assuredly cut and it’s a virtual certainty handouts were given. The culture of taking advantage of the taxpayer goes back way before most of us were alive. It’s a foundation that has lived on throughout our local and state governments. A question: What would have happened to that facade if Harvey or Irma rolled through downtown Baton Rouge with better than 100 mph winds blowing through the eyewall? Let’s understand that the reason Hasten was able to snap those pictures was that ever since, ironically enough, the day John Bel Edwards was inaugurated chunks of the building have been falling down. That’s without a hurricane rolling through town. It’s kind of impressive this scam held up for so long. Maybe con artists had some morals back in the day to make sure it would last a few decades. I’m sure a few hundred people knew this type of construction was going on. It will be interesting to see what excuse will be given, I’m betting on “It was the best way to do it at the time.” Louisianians have been victims of this political behavior for so long it doesn’t seem to bother us. New Orleans’ Sewerage and Water Board is a quick reminder. There are so many unanswered questions that the US attorney will have to call in the FBI to figure out how deep that rabbit hole goes. People are fed up with the 3rd world conditions of flooding and water advisories, however, no one wants to admit the truth. That we have let this go on and will continue to let this go on. The heads of the board were appointed as political favors, not because they were the most qualified for the job. This is common knowledge for most committees and government sectors. It’s not until an idiot like Cedric Grant says “Global warming folks, get used to it” after the flood a month ago that we realize this moron has no idea what he’s talking about. This is the same man that spent $900,000 on renovating his office, not the building…his office. His punishment is getting to resign with a pension of $162,000 a year. It’s a part of New Orleans that isn’t going anywhere. We can’t forget Baton Rouge. The Council on Aging has an Executive Director that stills sits at the throne after jumping on the opportunity for a quick payday in taking advantage of an elderly woman’s estate. It was quickly ruled against by a judge once the family realized what was happening. I’m sure it was her first attempt and it’s ok because her mother is a judge. The “old boys” network might look different but it’s very much the same. Nobody has begun prosecuting her for having committed election fraud in order to reel in $8 million in extra taxes for her corrupt organization, either. Our leaders look to take advantage, their families and friends look to take advantage. It’s a non-stop free-for-all that we have come to expect from our politicians. It’s a normalcy we have become accustomed to. It truly is getting your PhD in politics and learning to trade favors. Extortion, blackmail, payouts, handouts, brother-in-law deals, it’s all part of our foundation that just won’t go away. These two cases are very recent; one doesn’t have to go back very far to find other stories just like these. 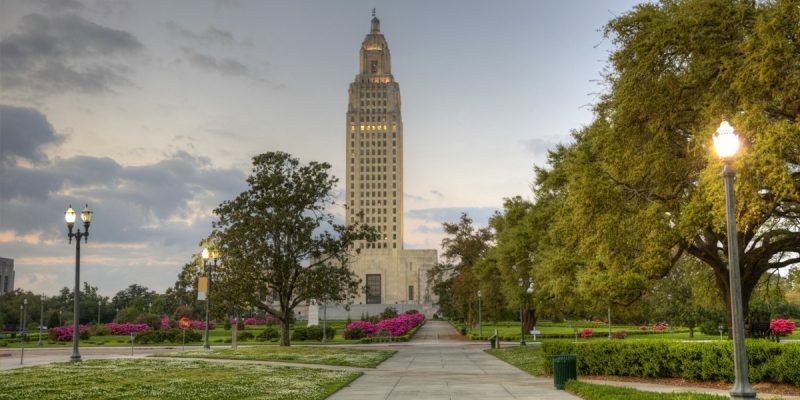 Louisiana is a running joke on Capitol Hill and it has always bothered my pride. But it’s hard to argue when Congressmen have an unexplained $90,000 in the freezer or a Governor sends his son to retrieve $250,000 from under a dumpster. Just when we think there isn’t much that can surprise us anymore, we do things such as dishing out more than $200,000 to attend a birthday party for a former Governor who went to jail. How many current and former politicians were on hand to help a corrupt politician regain his finances that the federal government took away? Not a single person felt any shame attending, especially not the press. It became a place to be seen, an A-list event for those to attend and make more shady connections. C’est la vie for us in Louisiana.